Also available as an interactive applet (scrollwheel or pinch to zoom so you can adjust the axis how you want). Descartes allowed a line segment of unit length to find roots. The rest of the construction is completed with just Euclid's compass and straight edge. Given: a complex number C plotted on the complex plane. Bisect the angle formed between C, the origin O, and the positive X (real) axis. Extend OC past O by a unit line segment to U. 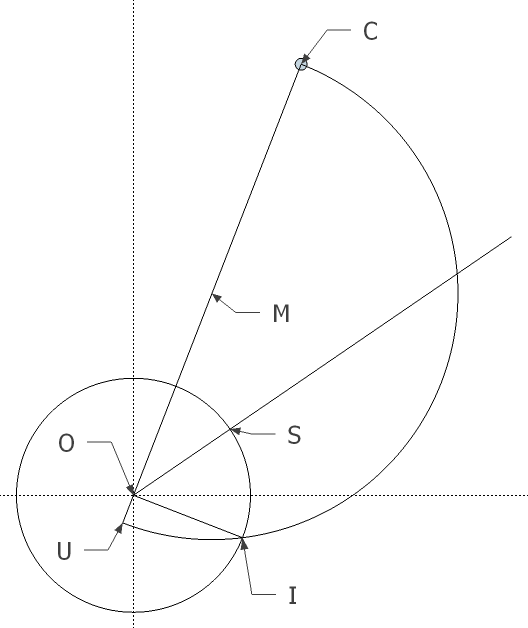 Find the midpoint, M, between U and C.
Construct a half-circle centered at M through U and C.
Draw the perpendicular to UC through O to intersect the half-circle at I. 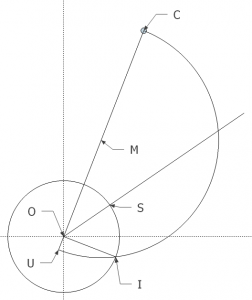 Draw a circle centered at O through I. The circle intersects the bisector at S.
S is a square root of C.